filling the air with color and song. This entry was posted in Nature, Ozarks, Poems and tagged beauty, chaos, dVerse, Eden, family, garden, home, poetry, seasons, summer by The Course of Our Seasons. Bookmark the permalink. If my garden had to wait for me to make it perfect and groomed, it would never happen!! P.S. The beagle has landed. I mean, come home as in snoring in the family room, having objected quite vocally to being bathed before being released from prison. Yeah I love a garden in chaos, they are the most inspirational…just love it! There is alot to be said for the natural state of things, especially plants and their preferences for how and where they want to grow…a balance in nature, perhaps. It seems that your eye agrees and appreciates that beauty. Lovely. So true! I have a big trust in nature and allow plants to come spontaneously where they want to be. That’s usually where they will be at their best anyway. Just a little control here and there and the garden automatically turns into the paradise of Eden. i’d take an ‘Eden of Chaos’ over a neat, tidy garden any day! beautiful. i agree. i like my gardens a bit messy… not too neat and trimmed. 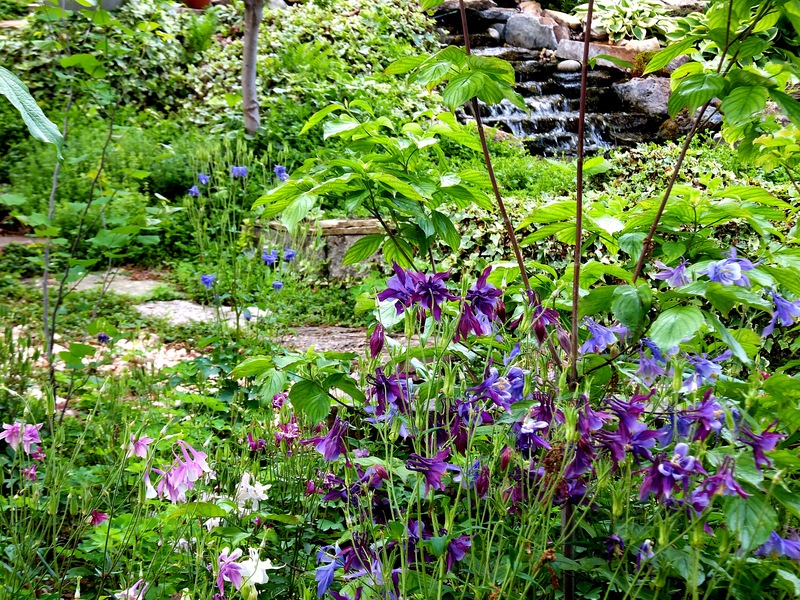 ha i will take my garden a bit wild as well…while i appreciate how one can craft a pretty garden, chaos rules my nature…ha…. In our garden which is a piece of wood really we have tried to recreate a little meadow among the trees instead of a bad lawn. By using a scythe once a year… it’s getting more and more wildflowers and less and less grass. But a garden of Eden has to be chaotic.